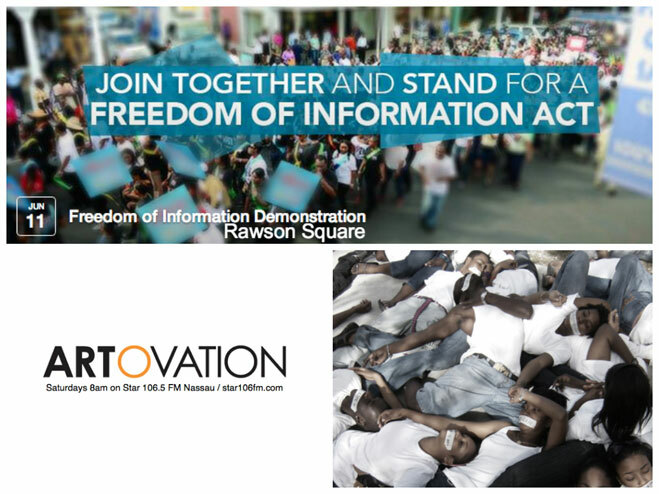 Groups that have signed up for the “Stand Up for a Freedom of Information Act” rally so far include: Bahamas Against Crime, the Trade Union Congress, Bimini Blue Coalition, National Citizens Coalition, reEarth, Bahamas Against Sexual Violence and Child Abuse, and the Bahamas Humane Society. Several other groups have been invited. The event is being organized by Save The Bays, the fast-growing national movement that has championed the cause of the public's right to know. It will take place from 8am-2pm in Rawson Square. When Save The Bays started discussing a rally to call attention to the need for such an Act, McCoy said it quickly became clear that many other advocacy groups in The Bahamas also felt there was an urgent need for increased government transparency and accountability. “Although we original adopted FOI as one of the main tenets of our platform in connection with protecting the environment so people being affected could see what was being planned on ‘their behalf’ and be involved in consultation, we immediately came to recognize that Freedom of Information was essential for every aspect of a democracy. “The response has been amazing,” she said. “Human rights groups, labour organizations, even many within the political class have shown their support and enthusiasm. The DNA has officially signed on as a sponsoring organization and leader Branville McCartney has agreed to appear on Voice of the Bays, the radio show sponsored by Save The Bays, next Monday from 5-6pm on Love97 to discuss his support for a Freedom of Information Act. For its part, McCoy said Save The Bays sees its ongoing struggle against a controversial resort development in Bimini as a perfect example of why a Freedom of Information Act is so desperately needed. “The developers grudgingly gave notice that they would dredge a huge area of seabed that includes some of the most pristine and ecologically significant reef systems in the world, which many Biminites and other Bahamians rely on for their livelihood and sustenance,” she said. McCoy said Save The Bays is working to enact the Freedom of Information law so that in future, concerned citizens or local communities don’t have to hire attorneys to find out what is happening outside their front door. Currently 93 countries around the world have Freedom of Information legislation, seven of them in the Caribbean. The Bahamian legal system was inherited from English law, and England did not enact their own Freedom of Information Act until 2000. “There seems to be a cultural of secrecy inherent in The Bahamas government, under all administrations, that needs to be changed so the people can participate in the governing of their country. We are hoping this rally will be the first step in this change,” said McCoy.